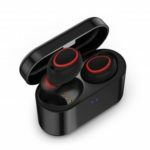 Advanced Bluetooth technology adopted, BT05 can pair with smartphones, tablets and Bluetooth enabled devices easily and fast, offering you the most impressive stereo sound. 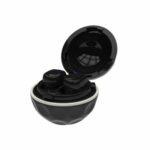 Lightweight and ergonomic design with built-in magnet greatly reduce the burden on ears and provide the most comfortable wearing experience. 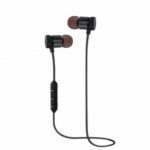 Easy and fast pairing with smartphones, tablet, and other Bluetooth enabled music devices; offer you impressive stereo sound. The earphones can be detached, with built-in magnet attracting earbuds. Provide you a convenient way to store. Low power consumption design. 6 hours music time and up to 150 hours standby time to meet your daily sports requirements. 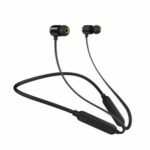 Ultra light weight does not cause any burden to the ears, thus providing lasting wearing comfort. 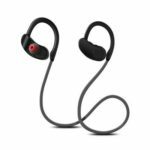 Ergonomic design, close to your ears, not easy to fall off while doing exercise. Equipped with three function buttons. Easily control music play/pause, volume up/down, phone answering/hanging up. Allows you to keep track of the battery power status and charge your earbuds instantly. High strength, high resistance and high tolerance TPE cable, anti-tear, anti-corrosion, soft touch and no tangling. Compatible with most of Bluetooth enabled devices, including, iPhone 6s/6s Plus, Samsung, HTC phones, etc.